This November, taste your way through 20 of London's top restaurants — all at one incredible foodie event. Taste of London: Festive Edition is at Tobacco Dock in east London, showcasing some seriously scrummy winter cuisine. With more than 60 taster-size dishes to try at this festive foodie event, here's a chance to sample from some of the city's finest menus, without breaking the bank. But where to start? Here are seven restaurants at Taste you shouldn't miss. Foleys is inspired by the spice trail of the Middle East and Asia. Vegetable dishes such as aubergine with dates, quinoa and feta, mingle with the likes of cornflake-crusted popcorn chicken with pickled shimeji, endive and chorizo. You won't have tasted anything quite like it. King of tapas Jose Pizarro aimed to bring authentic cuisine to London when he opened his first restaurant in Bermondsey in 2011, and he will do the same at Tobacco Dock.. Bringing the buzz of Spain to Taste of London, visitors can try the popular gambas a la plancha with saffron allioli, finished up with a salt and olive oil chocolate pot. 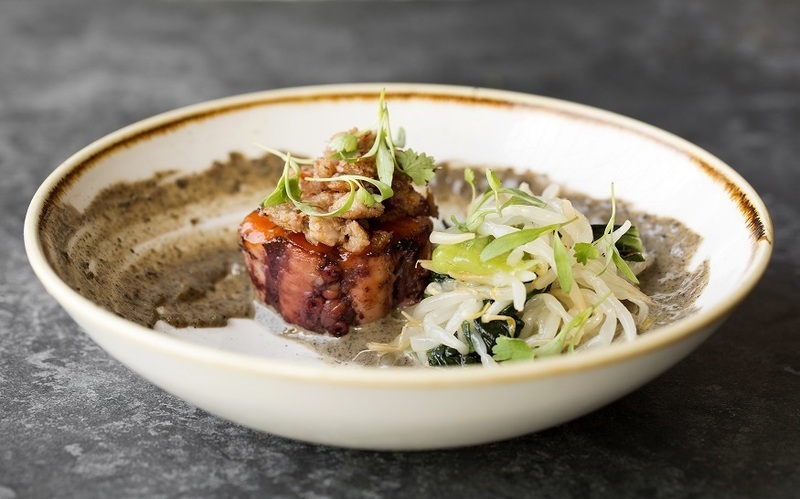 Still one of London's most innovative dining experiences, Japanese favourite Kurobuta will be showing there is more to Japanese food than sushi. Feast on a pork belly bun, or an intriguing-sounding octopus donut if you're feeling adventurous. Curry-lovers looking to warm the cockles: head for Café Spice Namaste. £5 gets you a traditional dish of dahi saev batata poori (puffed crispy rice, filled with crushed potato, spiced yoghurt, green chutney and tamarind sauce). 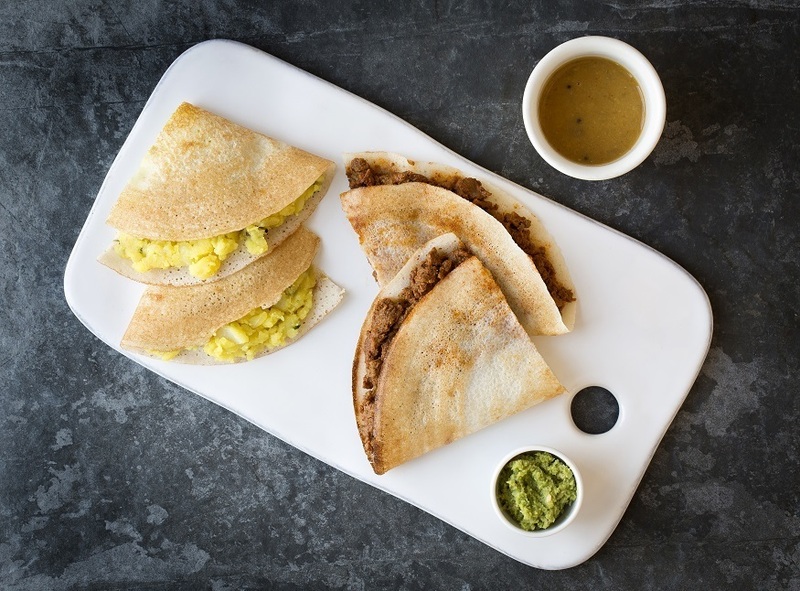 Masterclasses from chef Cyrus Todiwala, meanwhile, give you the chance to sample dosa made with curried Soay lamb. Or there's a vegetarian version with spiced Keralan mash. Mexican maestros El Barrio cook with local meat from NW10 family butcher O'Farrells, and taco shells from London-based Cool Chile Co. At Taste, you can get your hands on Mojo Fish tacos with samphire (£6), or — for the Popeyes among you — El Barrio's Florentino dish accompanies spinach with sherry, Portobello mushroom, onions and peppers. Seasonal British produce takes centre-stage at Oldroyd. From the project of former Polpo chef Tom Oldroyd, expect the likes of prawns in blankets, with peppered pork fat and rosemary aioli (just £5). Then, tuck into the chocolate mousse, with salted pistachio praline and raspberries. What started off as a kebab van at a Copenhagen nightclub is now a permanent fixture on the London Turkish food scene. Tucked away off Highbury Corner Roundabout, is this tiny haven of heavy metal and 'haute' kebabs. Black Axe Mangal's flatbread is legendary, as is their large selection of meat (pigs' ears and lamb offal). This November, try their squid ink bread and smoked cod roe, or give your verdict on their buttermilk fried Mission chicken wings. 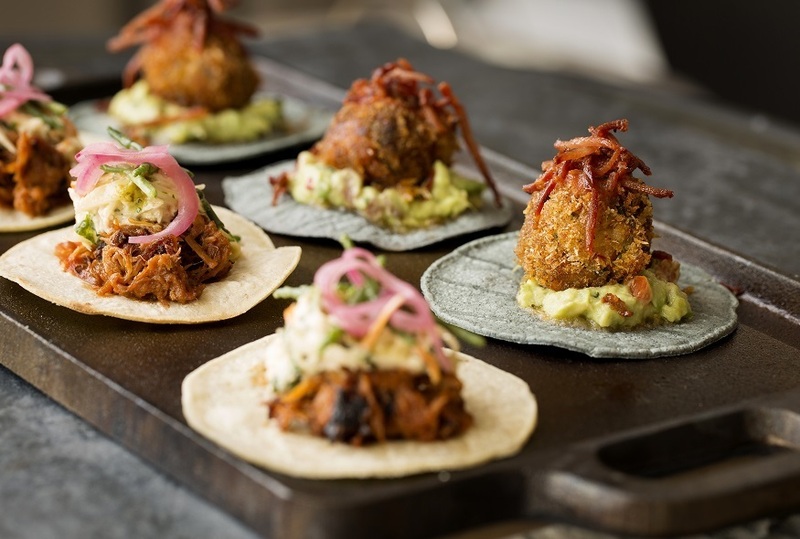 Taste of London: Festive Edition runs November 17-20 at Tobacco Dock. Londonist readers can get their hands on discounted tickets: enter discount code LONDONIST to get 17 November and 18 November tickets for £12 (instead of usual £15), or 19 November and 20 November tickets for £15 (usual price £19).